Read the full article from the Miami Herald here. Ibis Bay Beach Resort: The Place for Family Fun in Key West! 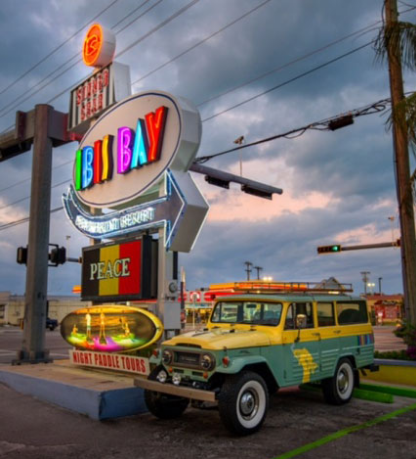 “If you’re looking for a fun, family friendly place to stay in Key West, with exceptional attention to detail, a vintage vibe and friendly staff, then Ibis Bay is for you!” Read more here. 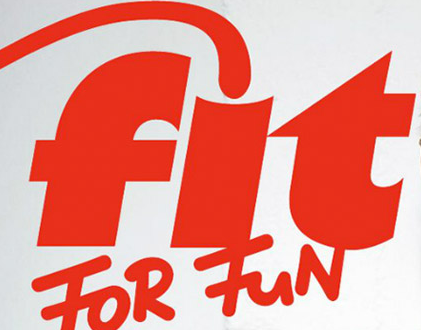 The folks at Fit For Fun Magazine had a great time nightboarding at Ibis Bay. Read the full article here, in the Owner’s Manual Section. “Key West changes every evening when that fiery, orange orb slips effortlessly beneath the horizon… Spiny lobsters depart their rocky hiding spots and traverse the ocean floor in search of food; octopus make their shadowy presence known only under the cover of night; and docile sting rays relax in the darkened shallows. These nocturnal nuances go largely unnoticed by the topside world — but they’re revealed in stunning clarity during a guided nighttime kayak or paddle board tour that departs every evening from Ibis Bay Paddle Sports. 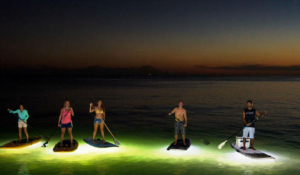 For the nighttime tours, the paddle boards and glass-bottom kayaks are equipped with waterproof, LED lighting that illuminate the water and introduce people to a whole different world, said Pawel (pronounced pa-vel) Pluciennik, who owns Ibis Bay Paddle Sports, the water sports concession business at Ibis Bay Resort. Visitors to Key West can experience the Florida Keys island chain’s undersea wonders at night during Nightboarding™ excursions by standup paddleboard or two-person clear-bottom kayak. Launched by Ibis Bay Beach Resort in Key West, the southernmost island in the continental USA, Nightboarding™ uses utilizes I-Lumenate’s Night-Ops waterproof LED light bars to light up the water. Nightboarding tours launch at sunset each day from the dock of Ibis Bay’s restaurant, The Stoned Crab. The tour costs $45 per guest and lasts about two and a half hours. 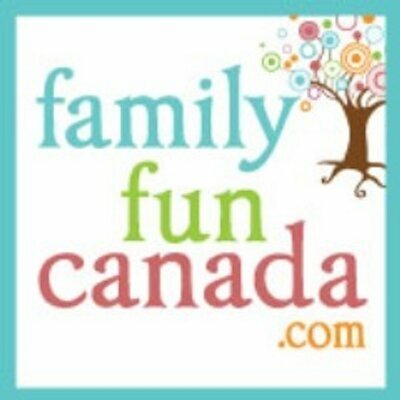 Participants can choose a stand-up paddleboard for one or a clear-bottom kayak for one or two paddlers. Read the full article at Kauppalehti. Call our FunDesk now at 305-296-0616! When you just want that little break from the the Duval St. bar scene with your toes in the water and your drink in hand to enjoy that laid back island life. 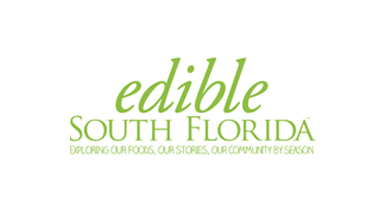 Ibis Bay Resort & The Stoned Crab Restaurant are Key West originals and welcome visitors to enjoy their pool, hammocks and cocktails. 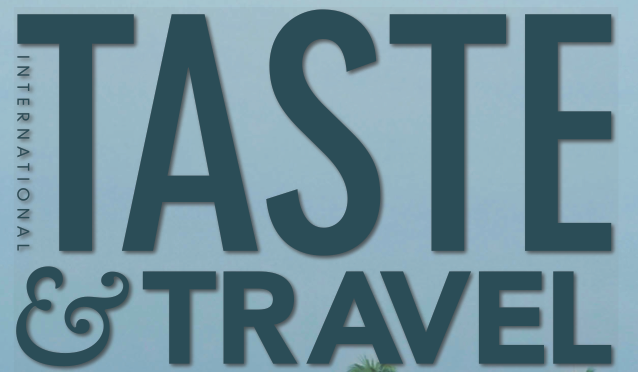 They also have kayaks, jet skis and paddle boards for rent and the island’s only Nightboarding tours using clear-bottom kayaks and standup paddle boards with bright LED lights. Their Caribbean style sets you in the mood for wonderful frozen cocktails like Key West Sunset (mango and raspberry puree mixture), Raspberry Mojito or a Raspberry Mudslide. 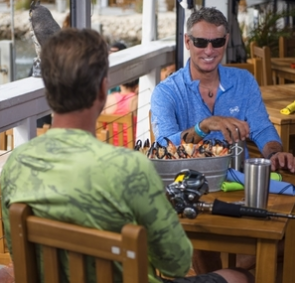 Crab claws caught fresh from their two boats daily and the outdoor seating looks over the docks for a wonderful island feel. Stop in and get “Stoned” is their saying for “come enjoy our stone crab claws”. Although their happy hour menu doesn’t include the stone crab claws, the bar food is good and budget friendly and we love the atmosphere. Try the chicken tenders or the onion rings. 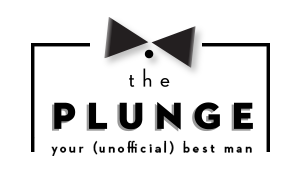 Bring your camera and swim suit to best enjoy your vaca within a vaca! “There’s no doubt that Key West is changing with the times, and so much of the 1950s era and Cuban influence is being lost. Ibis Bay Resort is working overtime to maintain the spirit of “old Key West” without sacrificing modern amenities… Little ones will love the giant tortoises, which — as the story goes — were barter for past due rent that was “paid in turtles.” Beachfront rooms spill out into the sand… and on Wednesday evenings narrated “dive-in” movies under the stars are featured on the big screen. “It’s quirky and fun and one of the more affordable places to stay in Key West, the southernmost tip of the Florida Keys. The resort has rather unusual touches, including a welcome parrot, two giant tortoises, a kangaroo (not real) and weekly “dive-in” movies shown on a 20ft screen beside the swimming pool. 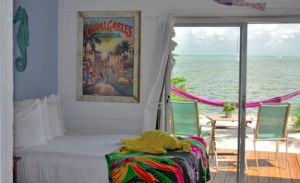 The rooms are small and basic but bright and cheerful thanks to tropical murals by local artists and the owner’s personal collection of bits and bobs – surfboards, fishing rods, and anything else that catches his eye. All but a few of the rooms have adjoining hammocks and some back on to a little manmade beach. To expand the sunbathing space, the resort has recently added a large wooden sundeck stretching over the water. Hire one of its jetskis to explore the nearby island, a sanctuary for the Ibis bird, or for nighttime viewing take one of its new glass-bottomed kayaks, fitted with LED lights. 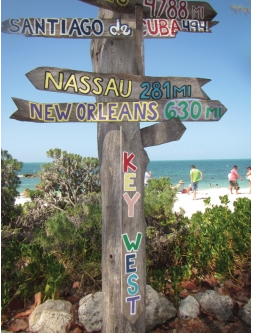 Oh, and if you have time, don’t forget to check out Key West too! “At the end of the island chain, Key West spreads out into a relative metropolis. 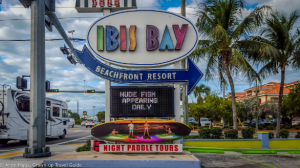 But before you reach the heart of the island, lined in clapboard “conch” cottages, shade trees and captain’s mansions, the new Ibis Bay Waterfront Resort welcomes drivers with a bright neon sign at the island’s entrance. New owner Chris Holland gussied up the 1956-era motel with buckets of pastel paint, staked picket fences around the buildings, strung hammocks between the palms and installed a restaurant dockside. A stable of jet skis, paddleboards and kayaks encourages guests to explore the island rookery just offshore where ibis, namesake bird of the hotel, roost.